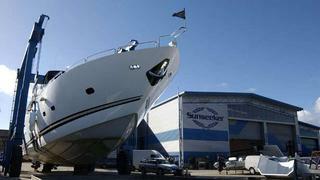 Sunseeker International to be sold? Sunseeker International is in discussions with a third party, rumoured to be Chinese, over the sale of a majority stake in the business. Sunseeker reported today that if a deal is concluded it will remain a British company, headquartered in Poole, Dorset, in the UK, and it will maintain its existing primary production bases in the UK, along with its current workforce and infrastructure. The existing management team and representatives of FL Partners will remain on the Sunseeker Boards and Founder Robert Braithwaite will continue to be involved in the business and remain as Group President. According to Sunseeker, the potential new majority shareholder, who has no current interest in the luxury motor yacht sector, supports Sunseeker’s commitment to superior products and its premium brand, both of which would be further enhanced by its investment. 'If a deal is concluded, it will allow Sunseeker to expand its global base still further while retaining its current operational and manufacturing infrastructure at the Poole headquarters,' says Gemma Marsh of Sunseeker International. Stay tuned for more details.